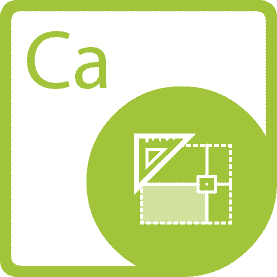 Aspose.CAD for .NET is a cross-platform class library that enables your applications to perform a great range of drawings processing tasks. Aspose.CAD supports DXF, DWG, DGN, DWF, IFC, STL, DWT, IGES, IGS, PLT and other CAD formats. With Aspose.CAD you can modify, convert, render, export and print documents without utilizing Autodesk AutoCAD®. Aspose.CAD for .NET is well documented to help you create your solutions on different platforms. You can use Aspose.CAD for .NET to build any type of a 32-bit or 64-bit .NET application including ASP.NET, WCF, WinForms. Aspose.CAD is designed to perform great both on a server or client. Aspose.CAD is a single .NET assembly that can be deployed with any .NET application by simply copying it. You do not have to worry about any other services or modules. You can literally generate thousands of images in minutes with Aspose.CAD and that involves opening a drawing, modifying content or populating it with data and saving it. Even most of the complex drawings are opened and saved on a P4 2.4Ghz 1Gb RAM machine in a second. Aspose.CAD is multi-thread safe as long as only one thread works on a drawing at a time. It is a typical scenario to have one thread working on one drawing. Different threads can safely work on different drawings at the same time. *In case you work with DWG/DXF files that contain PDF underlays, you have to additionally install Aspose.PDF so that underlays could be rendered. (C) Aspose 2002-2019. All Rights Reserved.